So, you’ve decided that deferring all fun until retirement is not your cup of tea. And you’ve decided that now is a better time than any to travel the globe, explore the unknown, and really discover life. But there’s one problem. How are you going to fund those travels? The usual options include travel writings (and actually being paid for it), teaching English, working remotely, or using your savings. The first three involve full-time work (yuck!) and the last option isn’t sustainable (at least for most mere mortals). But I have another option for you: Travel on Equity (TOE). It’s true, it really is, it’s absolutely possible to travel on equity for endless global travel. Sounds too good to be true? Well, it is and it isn’t. It’s for those of you who have worked for a while and have already developed an asset base (property, investments, etc.). It’s especially suited to those who’ve worked in professional roles, bought their own home and decided it’s now time to enjoy life. 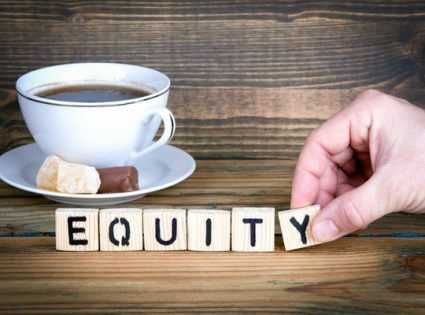 Travel on Equity (TOE) literally means traveling on the equity in your investments. In a practical sense, that means as your investments grow, you keep borrowing against them (only to levels you’re comfortable with) and use those borrowings to fund your travels. Sounds risky (especially considering the GFC), but please bear with me. Consider this example. Nadia has worked for 10 years as a nurse, but she’s decided to put everything on hold and travel the globe indefinitely. She bought her own house when she was younger and it’s now worth $500k (adjust this value to whatever seems reasonable in your country/currency). So Nadia starts by wiping her financial slate clean. She sells her car, sells most of her material possessions, pays out her phone contract, and is left only with her house and travel essentials. Unfortunately, all of the money she made from selling her possessions was used up to payout contracts and other liabilities. Nadia has a loan of $300k that she used to buy her house. But since she’s committed to a life of global travel, she can rent her house out and use the rent to pay off the mortgage. In Nadia’s case, the rent is just enough to pay the mortgage and other sundry property expenses. So she’s cash flow even. Off to the bank, she goes, and she’s able to convince the bank to lend her up to 80% of the total value of the property. That’s a total of $400k. She already has a loan of $300k, so that allows her to draw another $100k. Even though this sounds risky, Nadia knows that the extra $100k can stay in the bank offsetting the loan. She also knows that she doesn’t have to spend it all and can return home whenever she likes (10 years as a nurse taught her some discipline). After doing a few calculations, Nadia thinks she’ll need $15k per year to fund her glorious global travels. That sounds like peanuts to her friends, but Nadia knows that she doesn’t need possessions upon possessions to be happy. She’ll be traveling the globe to exotic places while her friends will be working to maintain their precious possessions. Doing a few more calculations, Nadia realizes that her $500k house only needs to grow about 4% in the first year to fund the first year’s $15k of living and travel expenses. (Remember, she can only borrow up to 80%, so the property needs to grow another $18.75k to allow her to borrow $15k for her travels.) Of course, she already has $100k to last 5-6 years and by that time her property may be worth much more. As long as Nadia keeps her costs of living down, and as long as her property grows moderately in the long run, she’ll have a never-ending source of funds for her global travels. It’s that simple. If by ‘no one’ you mean people who spend $200 for a night out, then I agree. But there are many cities across the world where you can rent an apartment or share a house for less than $500 per month. And that includes utilities, furnishings, and the Internet. $500 per month x 12 months = $6k. So you still have another $9k for living, entertainment, and flights. Remember, it’s all relative. If you think you need certain material possessions to be happy, then TOE isn’t for you (or you just need to start with a larger asset base). But if you think life is about the experience, then $15k may afford you a life of unfettered luxury. So how is TOE tax-free? In the example of Nadia, all rental income was going to pay her mortgages. So in effect, she wasn’t making an income. In most countries, you don’t pay tax on the capital growth of an asset until you sell it. Of course, Nadia isn’t selling her property; she’s just borrowing against it. And borrowings are tax-free (usual disclaimers). Well, jeez, Louise! You didn’t actually think you could leave school, travel the globe, never lift a finger, and live like a king/queen? This is for people that have earned it. You may think it’s obvious that rich people can travel without working, but that’s not what this is about. I’m talking about an average person who has done relatively average things (like buying a house at some time in their life). Again, it’s not for everyone. Her living costs (even including flights) have gone down dramatically because she is going to less developed countries, she’s living in smaller (but more than adequate) accommodation, at times she’ll be sharing her costs with other travelers, she’s spending in a currency worth less than the currency where her property is, and to be frank, she’s seen the light and given up her excessive consumerist ‘Western’ ways. She is NOT depending on constant year-on-year growth because she borrowed a significant amount to tide her travels over for a few years. She just needs moderate long-term growth. She can return every couple of years to revalue her property, borrow more against it, and keep traveling. If the property market turns south, she can just come home, get a job, wait out the storm and keep building her asset base so it becomes more resilient and more dependable. However, to do this, Nadia needed to have existing assets AND she needed some existing equity. This wouldn’t have worked if she still owed the bank $400k. And this is a much better option than just selling the house because it could last indefinitely and when she settles down, she still has a house (potentially worth much more). But won’t these continuous borrowings spiral out of control? Moderation is key. Nadia’s initial $100k is held in an account to offset her loan. So she’s not paying interest on it until she uses it. As she does use it, she needs to pay for the interest on the new amount. So on her first $15k, if interest rates are 10% (fingers crossed they don’t go that high), she needs to account for $1.5k in extra interest next year. If Nadia is lucky, her rent will rise by $1.5k to account for the new interest. That’s $30 per week, which isn’t unreasonable but is still quite a jump. If the rent stays stagnant, Nadia can add that to next year’s $15k requirement, to make it $16.5k. Or she can spend $1.5k less. As long as the asset grows, you can stay out of trouble. It’s a balancing act that requires a little common sense. If things look like they’re getting out of hand (borrowings rising, asset value falling, rent stagnant), then it’s time to return home to regroup. O, shoosh. 🙂 Sure, there are lots of caveats; lots of things that could go wrong; lots of people that will keep saying “but”. However, life wasn’t meant to be easy; it was just meant to be fun. And saying “but” may be easy, but it sure isn’t fun. TOE can potentially bring your ‘retirement’ forward a few years or decades. Disclaimer: We are not qualified tax agents or financial advisers, which is all the more reason you should take our advice seriously.